Join me for a FREE webinar with CardioLog Analytics on Thursday, March 24 at 1:00 pm eastern. 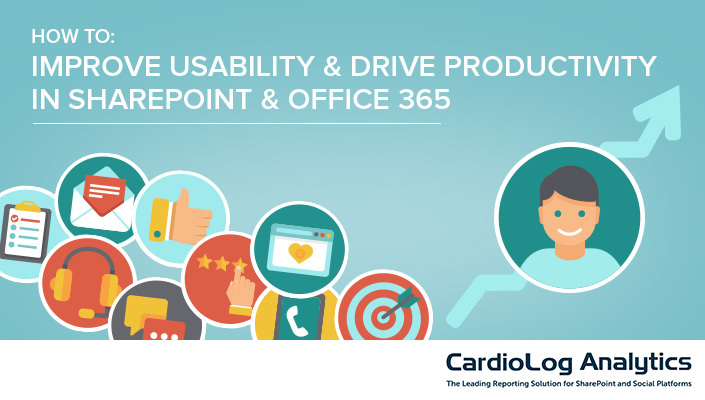 During the webinar we will discuss one of my favorite topics – improving SharePoint usability – and how doing that affects user adoption as well as overall productivity. SharePoint is a place for businesses to store, collaborate, and share content and documents throughout your organization. SharePoint out-of-the-box has its share of usability challenges, which in turn can cause user adoption and productivity to suffer. Those challenges can easily be re mediated by implementing a few easy tips and tricks. Join Intlock and Wendy Neal to learn how to drive greater user adoption and productivity by optimizing the SharePoint end user experience. What are some of the current usability challenges in SharePoint?